Arosa is a classic Swiss ski resort which can easily be accessed from Zurich Airport by rail, initially following the same stunning route at the line to St Moritz before branching off. 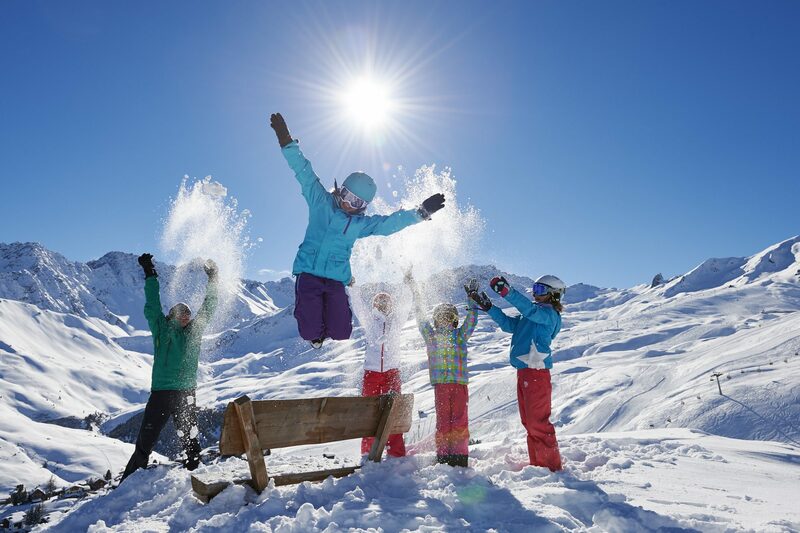 Located high up at 1,739m above sea level, Arosa has always had a reputation as a snowy hideaway. The local ski club was founded in 1903 and the ski school in 1933. 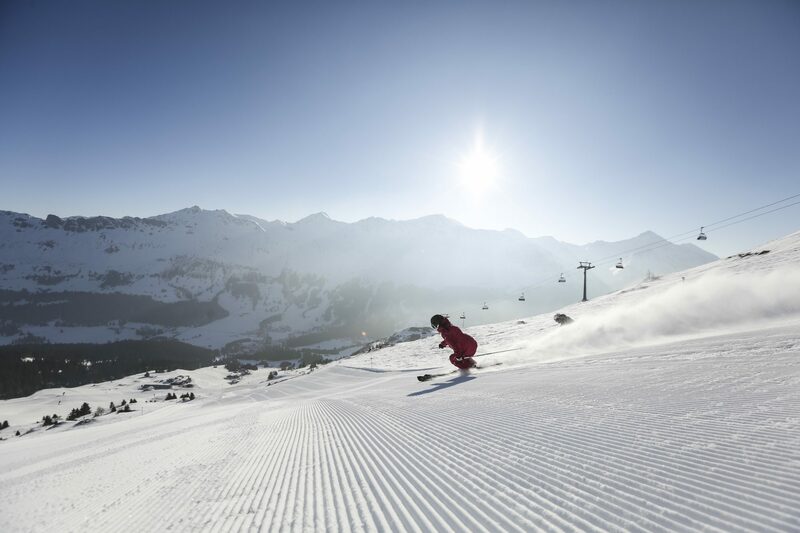 However, it used to have quite a modest ski area until a lift connection to neighbouring Lenzerheide a few years ago dramatically increased it to 220km, one of the biggest in Switzerland. For expert skiers, the Silvano Beltrametti World Cup course on the eastern side of the area is particularly popular. Tackle it in the morning when it’s still in the shade for a fast descent on a crisp, grippy surface. Bullrian is not the cheapest of restaurants even by Swiss standards, but it tops the TripAdvisor reviews table for Arosa with more than 93% rating it excellent, the rest merely “very good”. The idea is to provide healthy world cuisine, including vegetarian options, with love and a high level of service, and the team appear to be succeeding. Lift nerds will get excited when they ride the new cable cars across the valley separating Lenzerheide and Arosa’s ski areas. Unlike most cable cars in the world, these are able to operate separately, independent of one another, so only one need operate at a time or both can go in the same direction at the same time. The remarkable spa in the Arosa Tschuggen Hotel is the largest in the Alps covering an amazing 5,000m² of watery wonderland. Half buried in the mountainside, iconic sail-shaped skylights designed by star architect Mario Botta cover light wells down in to the facility.Pretty much every spa facility and treatment imaginable are here, and the centre is open to non-residents. 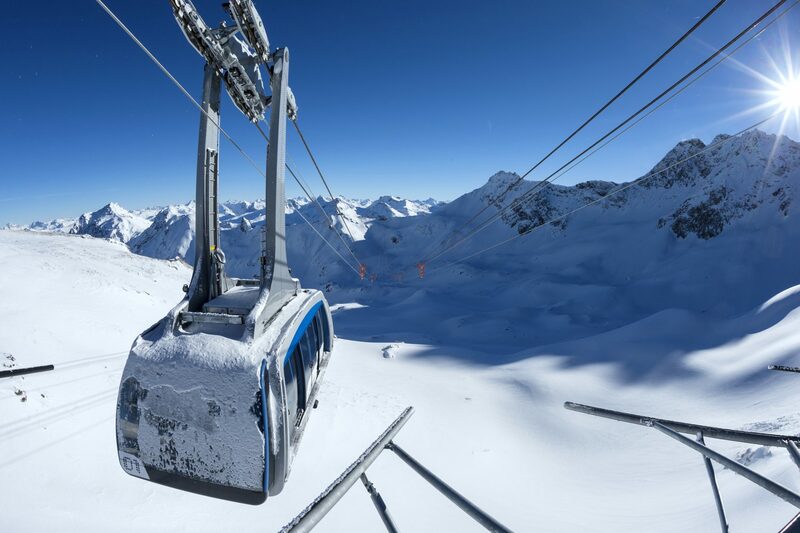 The ski area’s highest point peak at 2,865m above sea level is to be found at the Rothorn from where there are, on a clear day, spectacular 360° panoramic views. The resort assures us that 1,001 mountain summits across the Alps are visible from here but we haven’t counted. In Love With Switzerland ?